Book has finally been published. I just got my copies. And yes it is a critique of New Institutionalist views and the title a play with Acemoglu and Robinson's book title. From the back cover. "The question of development is a major topic in courses across the social sciences and history, particularly those focused on Latin America. Many scholars and instructors have tried to pinpoint, explain, and define the problem of underdevelopment in the region. With new ideas have come new strategies that by and large have failed to explain or reduce income disparity and relieve poverty in the region. 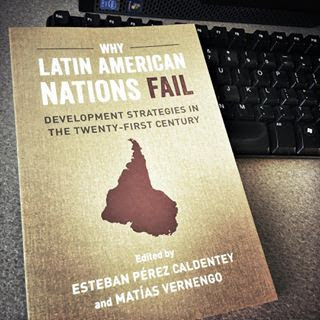 Why Latin American Nations Fail brings together leading Latin Americanists from several disciplines to address the topic of how and why contemporary development strategies have failed to curb rampant poverty and underdevelopment throughout the region. Given the dramatic political turns in contemporary Latin America, this book offers a much-needed explanation and analysis of the factors that are key to making sense of development today." With the shift from traditional analyses where capital is a single value factor of variable ‘form’ to the neo-Walrasian versions, general equilibrium theory has encountered new problems pointed out by P. Garegnani (1976, 1990): impermanence problem, price-change problem, substitutability problem radically question the right to consider neo-Walrasian equilibria as approximating the actual path of real economies. The paper briefly summarizes these problems and then concentrates on a fourth problem, the savings-investment problem, arguing that neo-Walrasian general equilibrium theory assumes that investment is adjusted to full-employment savings but cannot justify this assumption. The attempt to justify it in intertemporal general equilibrium through the tâtonnement is subjected to a new criticism: it is shown that the tâtonnement assumes Says’ Law all along the adjustments, and determines investment in a way that would crumble if it were not assumed that consumers determine their demands for consumption goods on the basis of an assumption of full employment incomes, which is not justified outside equilibrium, and was not assumed in traditional analyses. This reinforces the absence of reasons to view neo-Walrasian equilibrium paths as sufficiently approaching actual paths. It is concluded that behind the reference to intertemporal equilibrium as the microfoundation of macro analyses there is a continuing faith in traditional neoclassical time-consuming adjustment mechanisms, based on the old and untenable conception of capital that the shift to neo-Walrasian equilibria intended to do without. A bit old now. On the dismal report from the the first week of October, and Trumponomics in general. Anwar will give a lecture at Bucknell next week (Thursday, October 12 at 4pm, in Academic West 112). Open to the public, and if you are in central PA you should NOT miss it up. Above a talk he gave last year at SOAS based on his recent book of the same title available here. New paper published in Ensaios FEE. In all fairness, this was the paper that should have been published in 2013 in the volume organized by Ricardo Bielschowky and available here. But the revisions took longer than expected. It is in Portuguese, however. Below the English abstract. 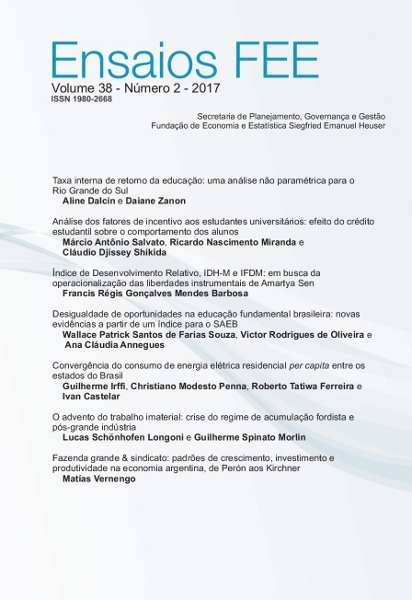 This paper analyzes the three phases of Argentine economic development since the end of the 19th century, namely: the commodity export model, the period of state-led industrialization and the neoliberal reforms initiated in the 1970s, and complemented in the 1990s. The main argument is that the commodity export model had run its course, given the geopolitical changes in the world, and that the abandonment of the industrialization project had less to do with its own limitations, and more to do with the political implications of the model. In particular, the higher wages needed for mass consumption led to recurrent balance of payments problems, and a political backlash that made it ultimately unsustainable. The limits of the abandonment of the neoliberal project during the last commodity boom are briefly discussed.